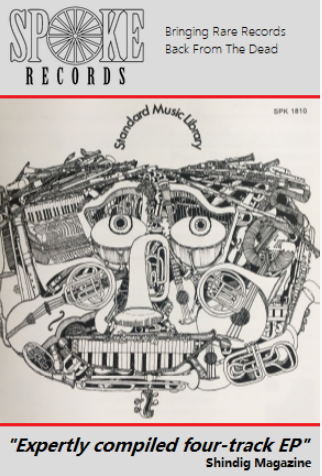 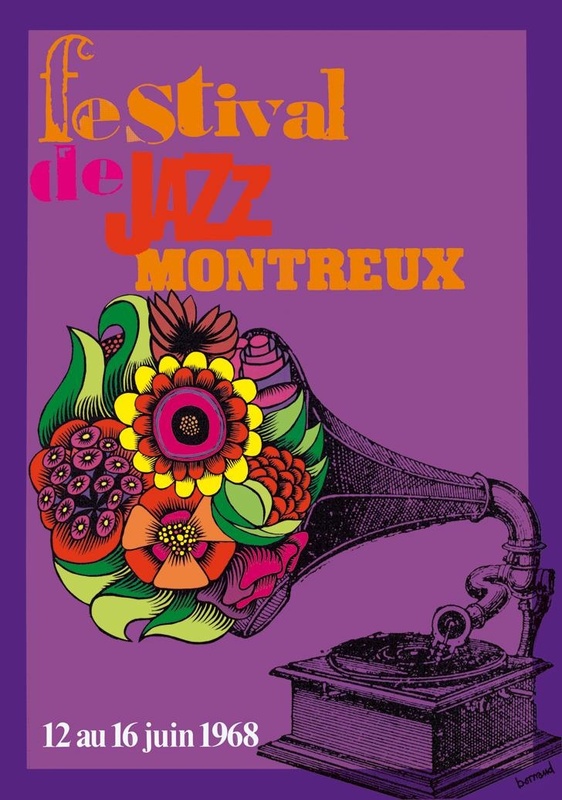 Previously we’ve visited the Montreal Jazz festival, now we nod our heads, stroke our chins and head to Switzerland to check out ten years worth of posters from the second largest Jazz festival in the world – Montreux. 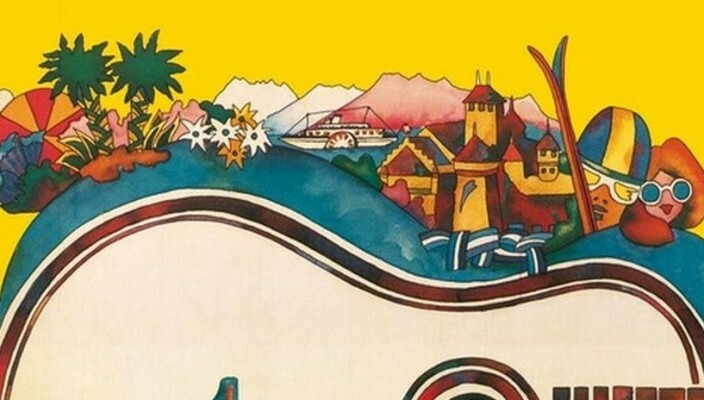 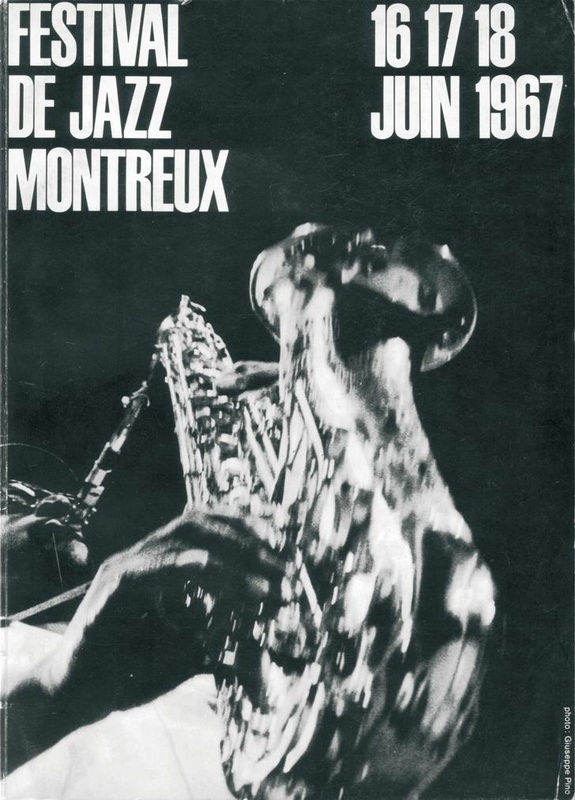 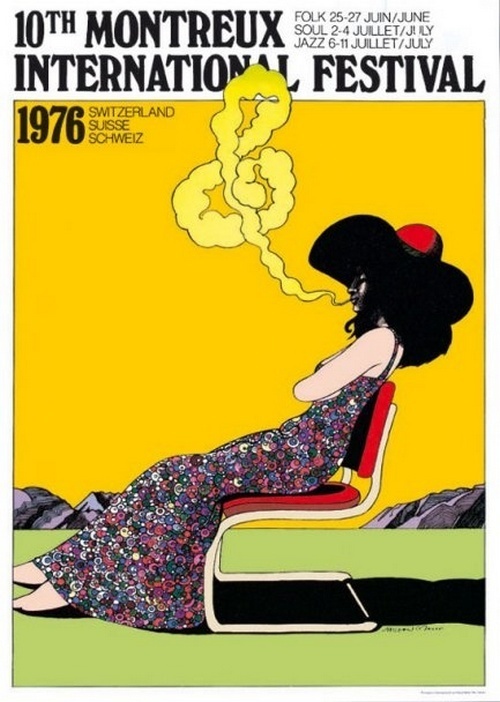 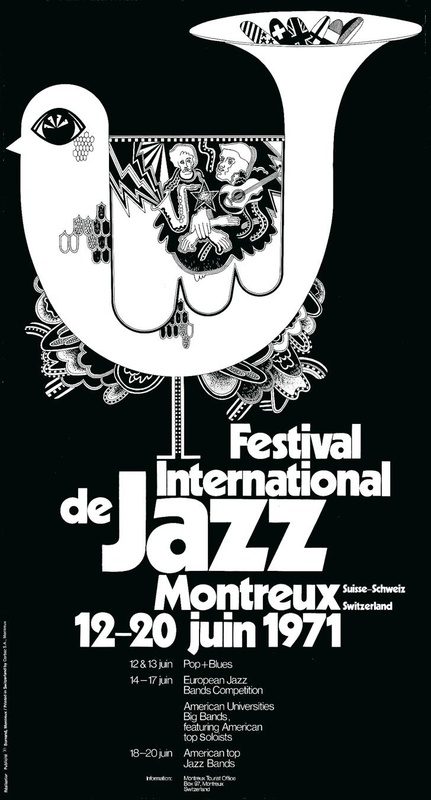 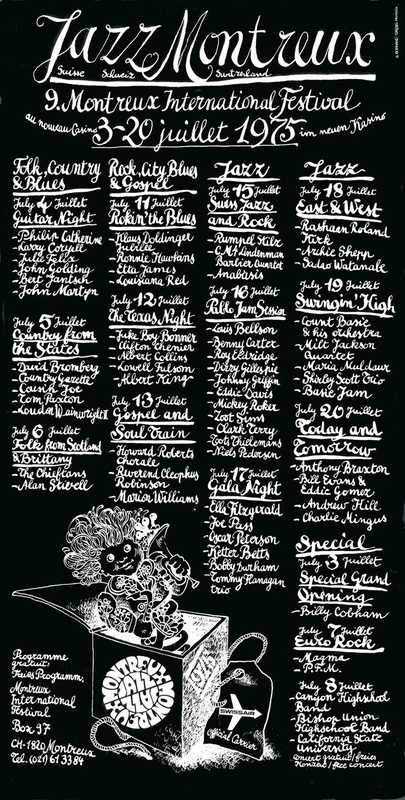 The first annual festival was held in 1967 at the Montreux casino and featured a stella line-up that included such artists as Nina Simone, Ella Fitzgerald, Bill Evans and Weather Report. 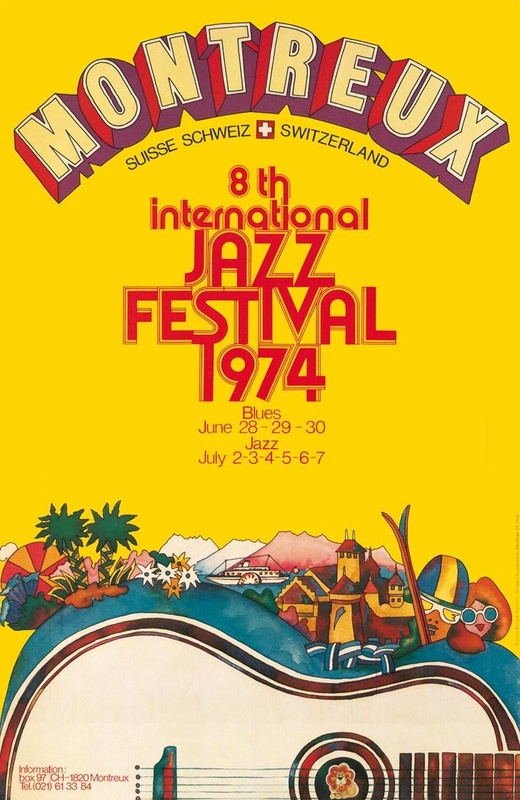 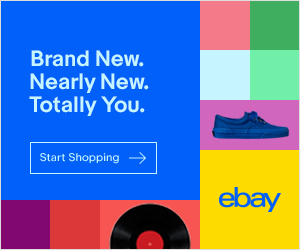 The event remained strictly Jazz until the 1970s when they broadened their musical scope and started to book major Blues, Soul and Rock acts like Pink Floyd, Led Zeppelin and Funkadelic. 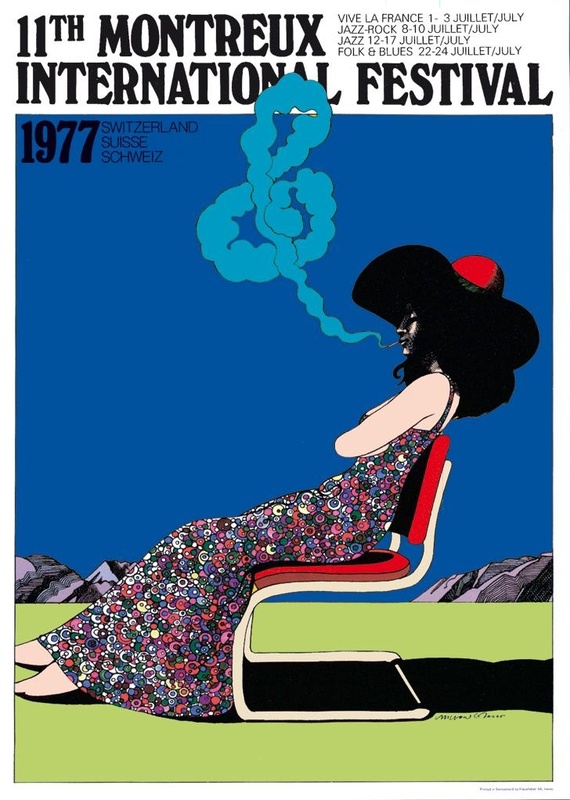 Here we have ten posters by different artists, although Push pin studios artist Milton Glase has (almost identical) artwork appear in 1976 and 1977. 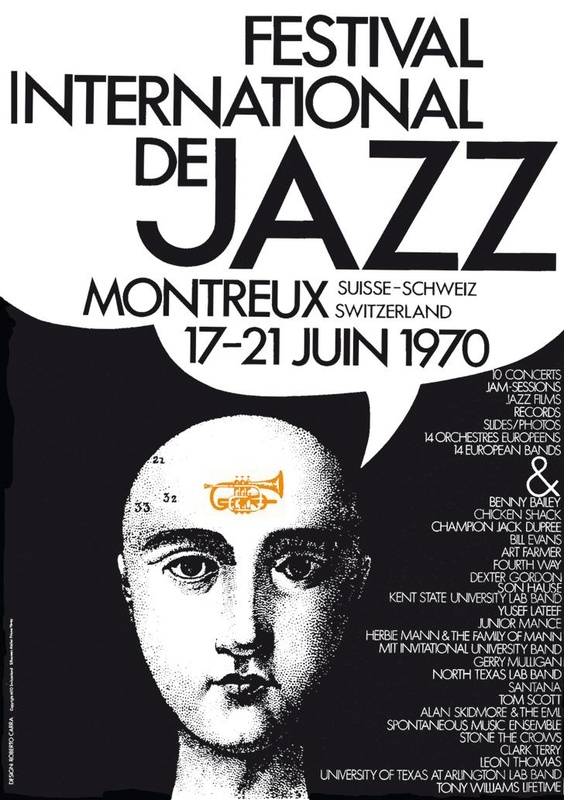 In 1971 the Montreux casino burnt down during Franka Zappa’s set – In the middle of the synthesizer solo on “King Kong” to be precise. 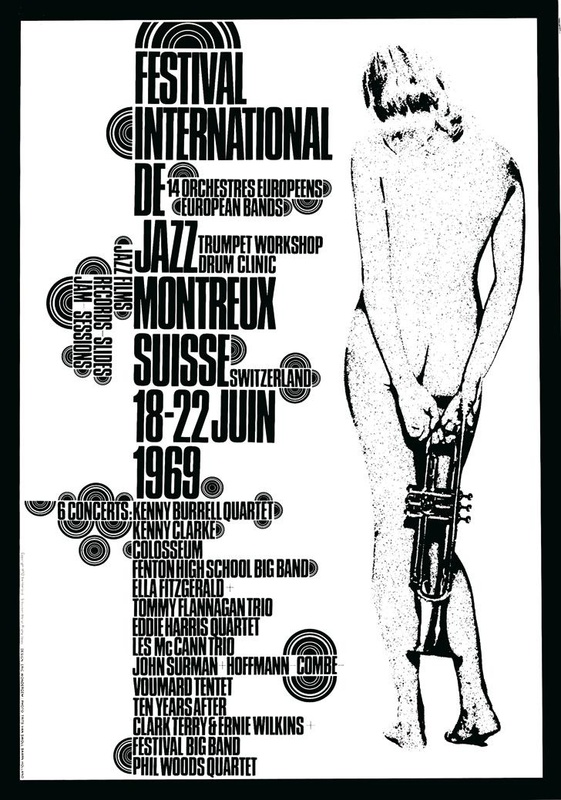 Also on the bill that weekend were Deep Purple, who planned to record a live album at the event. 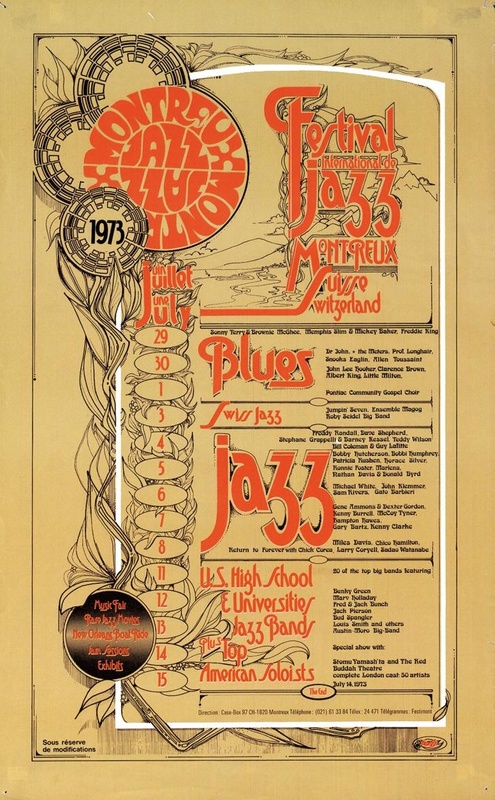 The festival fire inspired them to write their guitar rock anthem “Smoke on the water”.